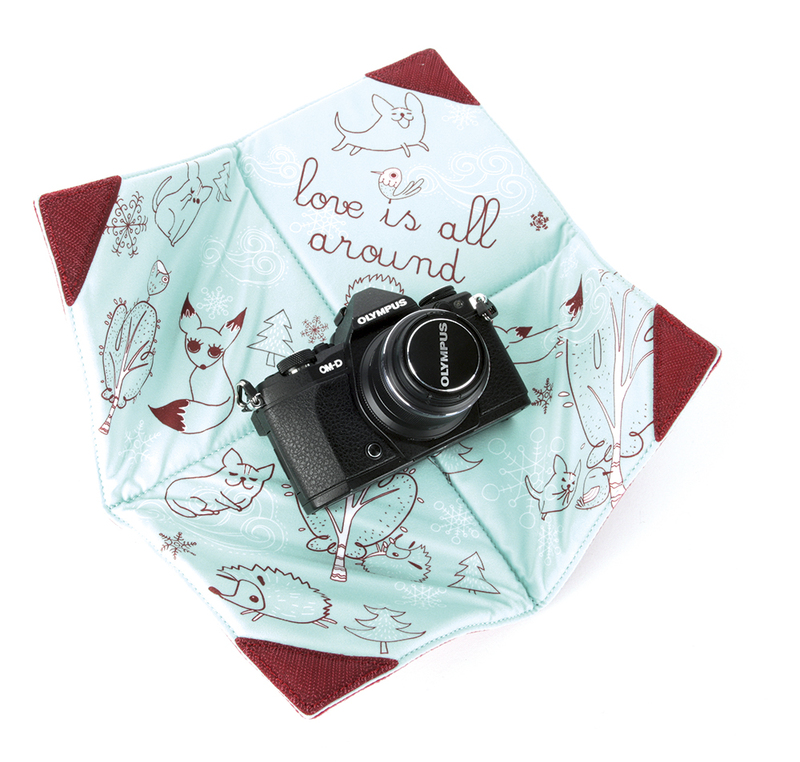 This camera or lens wrap is rather useful for those lenses or cameras that haven’t come with any kind of protective casing, or even for those that have but perhaps need better protection. While several companies make these kind of wraps, including Domke and Tenba, they’re often very plain and offer only a small amount of padding. The Zkin Mayura’s material, however, is quite thick and provides good padding when a camera or lens is wrapped inside it. Design-wise, it’s far from plain and features a teal-coloured microfibre inner with illustrations towards its top. 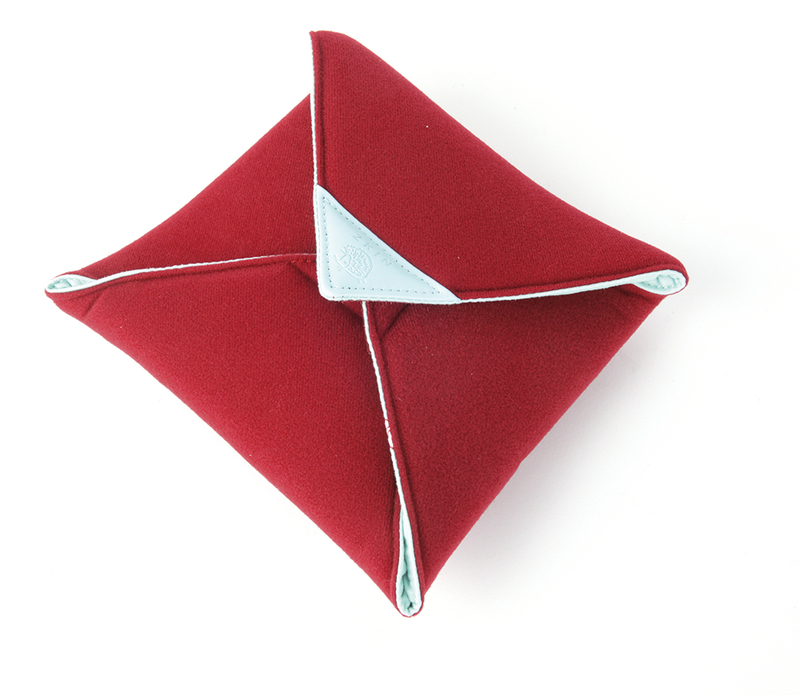 The outside is made of a soft burgundy material that allows the Velcro corners to stick to it when wrapping up kit. As an extra touch, there are also great-looking real-leather accents on the corner of the Velcro tabs. At 29x29cm it’s perfectly able to fit a medium DSLR, a large prime lens or a Micro Four Thirds camera. I tried it out with a Canon EF 24-70mm f/2.8L II USM lens, which fits perfectly, as did an Olympus OM-D E-M5 Mark II. Overall, the Zkin Mayura’s design isn’t to my personal taste, but its functionality is very good and I’ve not seen a better quality lens wrap available. Although it does have the drawback of being rather more expensive than the Domke or Tenba versions available, it’s clear you’re paying a premium for its quality and styling.